By using FRANK, all employees reflect on their employee experience weekly. This not only enables your organization to have a real time insight in the needs of your employees, but also enables your employees to increase their self-awareness. Experience the difference between the annual ‘need to’ employees satisfaction survey and the continuous listening strategy of FRANK. FRANK has an extensive question library, but also supports customization. Focussing on people and giving them sincere attention is going to make a difference for your organization now and in the future. 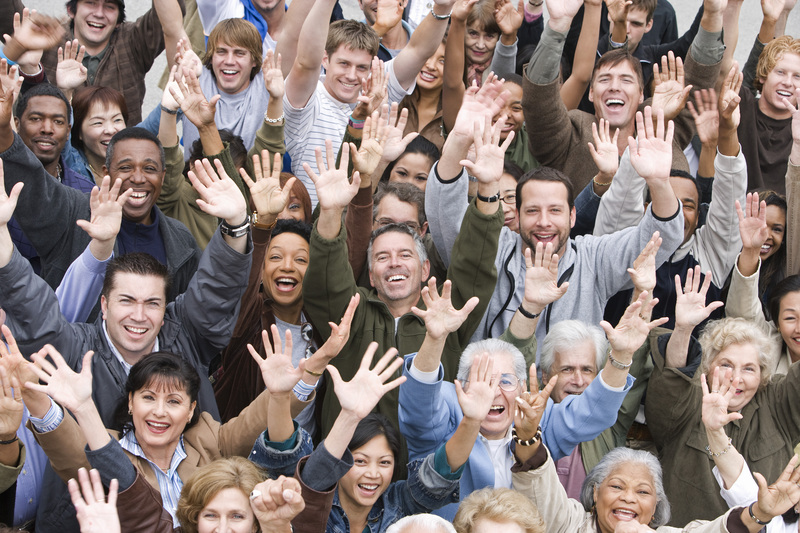 Everybody knows: committed employees stay longer with the organization, are happier, healthier and a lot more productive! 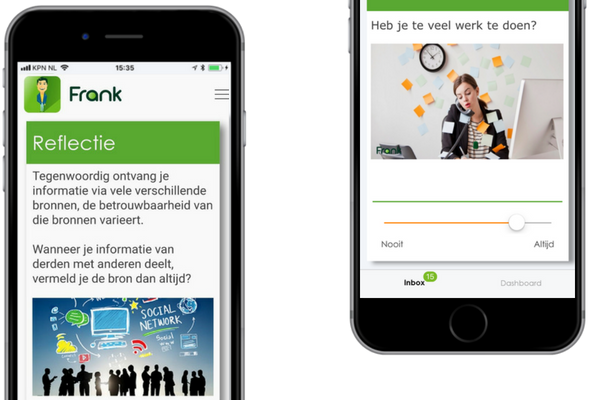 FRANK helps organizations to give the employees the attention they deserve and provides organizations with unique insights in the well-being and work-experience of its employees. Let’s be FRANK; success and the feeling of happiness, both business and private, go side by side. 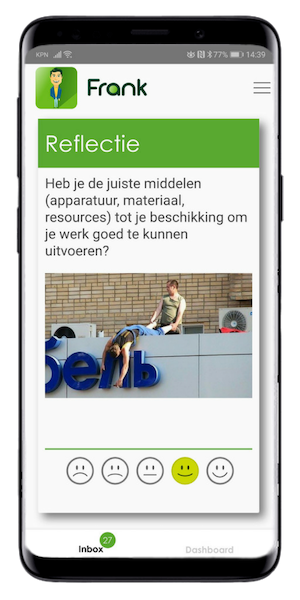 Through the app, employees receive weekly fun, surprising and sometimes difficult questions about their motives, vitality and employee experience. The questions are stimulating, fun and easy to answer. Organizations have real-time insight into the employee experience in order to be able to change their course quickly. Our HR-analytics provide you with insight into every process of the employee experience. Use the comprehensive (anonymized) data to make relevant decisions, improve processes and improve operational performance. It is also possible to do a short survey among employees in between the official moments. The question set and the time period can be determined by the organization itself. The organization can compare the scores within its own organization. For example, between job groups, age groups or departments. The employee himself can also compare his own results with the rest of the organization for a better self-image. Employee onboarding is the time to provide employees with everything they need to develop into committed and enthusiastic employees. FRANK enables you to measure the Onboarding process. 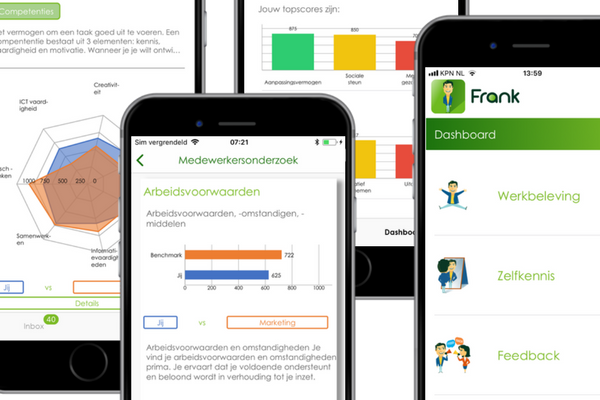 In the FRANK app the employee can view his own scores and compare them in real time via the dashboard. As a result, the employee also has insight into his own Employee Experience. FRANK has an extensive library of validated question sets. The library is divided into three main themes; self-knowledge, employee experience and skills. In the unlikely event that something is missing, customized work is always possible. ©2017 All rights reserved. Everybody FRANK B.V.